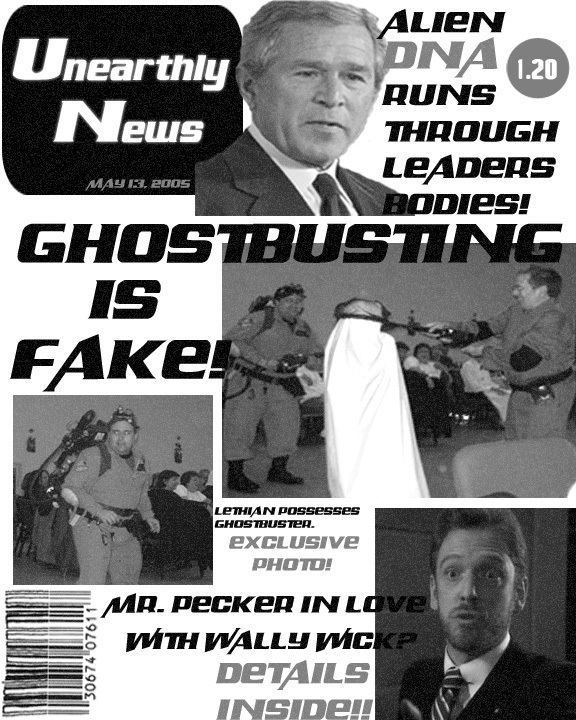 No need to check, you’re reading Ecto-Containment and not Unearthly News. In what was an “out of no-where,” pleasant surprise for ghostheads Ghost Corps (Facebook) shared a photo from there vault revealing deleted scenes/unused footage, and something titled “Bill Murray.” You know you want to see what’s on that film. This whole time, (well from some point after GHOSTBUSTERS) Ivan Reitman had these in his personal collection and eventually gave the three scenes to either Columbia or Sony Pictures. I blame Coca~Cola. This, these! Ghost Corps should have told ghostheads they went on an archeological dig and found this 33,000 (or 33) years old relic. Which at that point ghostheads left there computing devices very excited. Then needed time to process what they read and saw. During Ghostbusters Ray and Winston buddy up to check out a ghost at a state park called Fort Detmerring. The only part of the scene we see from the montage when Ray was dreaming of an age long ago and had an (innocent for a then 6 year old Spengs) encounter with a floating female ghost. If the scene hadn’t been a dream sequence, we would have seen Ray more on a museum type tour. That was a reason we see him in ye old village times apparel. The Fort Detmerring scene would have taken place before Ray and Winston are driving back to the Firehouse, arriving unfortunately after Con-Ed at the assistance of Walter Peck, shut down The Protection Grid. Until 2017 ghostheads didn’t really know if the lost scenes existed. We know the media exists. As to its condition, its an unknown. It’s anybody guess to what Bill Murray filmed on 10/31/84 that was preserved into the 21 Century. Could be alternate takes of scenes filmed during GHOSTBUSTERS or Bill Murray being himself around his friends and others. Or maybe they’re out takes. Which can sometimes be funny and a would be fun feature for ghostheads. Ghostheads would love for Sony to add these scenes and “Bill Murray” to a future re-release. Personally for me, unless Sony is releasing the holographic version or better, I’d prefer for the “vault footage” to be put on-line for free.